A stretch of the Silver Water Aqueduct. 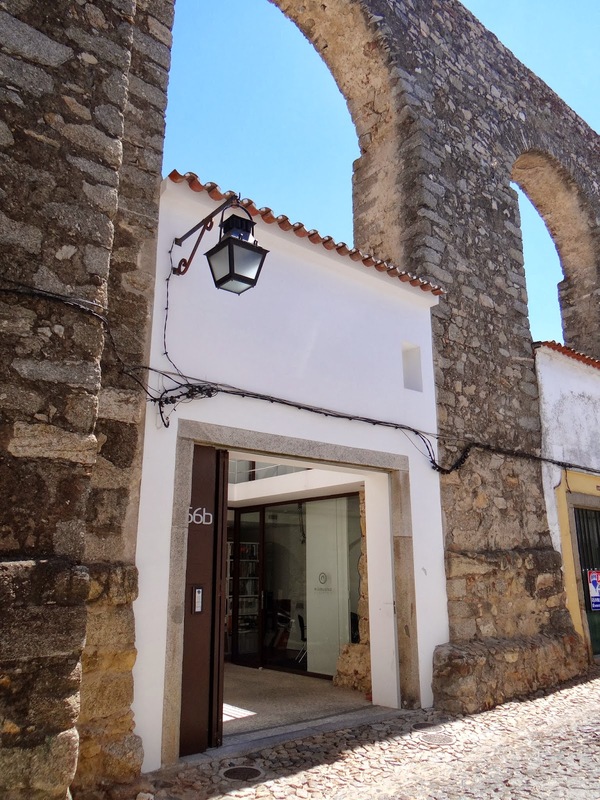 Although there is grand evidence of ancient Roman civilization in the Portuguese city of Évora - seen in the ruins of the Temple Diana - the huge aqueduct there was not built by the Romans, it was constructed by King João III in 1531-1537 to bring water into the city. The Aqueduct of Silver Water is a prominent sight throughout Évora, as it stretches for 6 miles and is 85 feet tall at its peak. It is fascinating to walk through this part of town. Homes built right into the arches of the aqueduct. The Silver Water Aqueduct is considered one of the greatest 16th century architectural structures on the Iberian Peninsula. I'd love to visit this place with a tour guide to show me around.